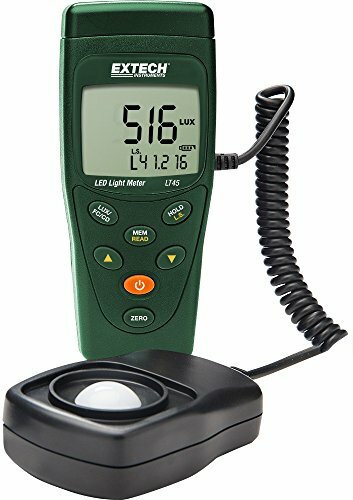 For this post, I have put together a collection of the best light meters currently available. 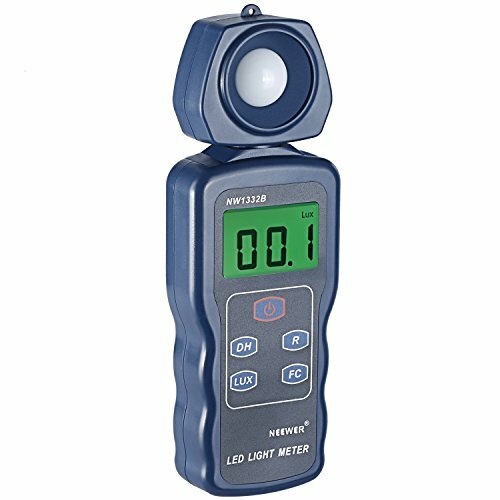 Digital light meters measure the level of luminance within an area. Luminance is the the amount of light falling on a surface, defined as, "the density of the luminous flux incident on a surface". The value is given in units of lux and/or footcandles. This convenient gadget is widely used in many areas such as construction, inspection, photography and more. The following light meters use the latest innovative components to meet your needs and help to ensure you do your best work. So here is my list of The 10 Best Light Meters. Revamped, compact DIGISIX 2 has a weight of just 1.4oz (40g). Expands the measuring functions of manually adjustable cameras to include incident light measurement, by means of which better exposure can be achieved for unusual subject contrast. Integrated contrast measurement also indicates whether or not subject contrast, i.e. the difference between the brightest and darkest part of the subject, can be managed by the sensor or the film. Comprehensive metering methods -incident and reflected light measurement. Precision measurement and display -exposure value is ascertained and displayed in 1/3 increments. Clear-cut display -all possible f-stop/shutter speed combinations at a glance. Timer for time exposures -timer is adjustable from 1 second to 30 minutes. 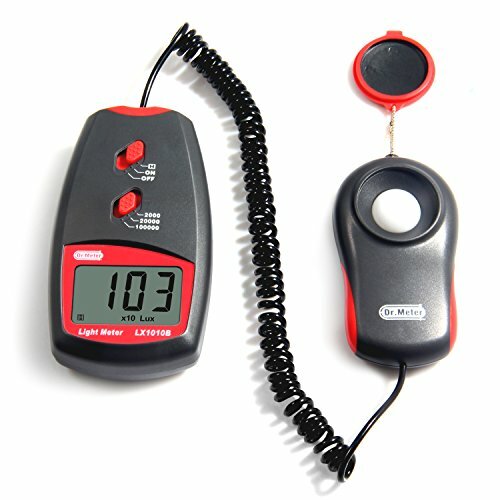 Camera bag temperature monitoring -temperature measurement and min. - max. value storage. Besides white and color LED lighting, the LT45 can measure standard light sources — fluorescent, metal halide, high pressure sodium and incandescent — up to 400,000 lux. The meter can record the maximum, minimum and average readings when changed to MAX/AVG/MIN mode. Toggle between Lux and FC (foot-candles) units with the push of a button. The LT45 also displays CD (luminous intensity) mode. 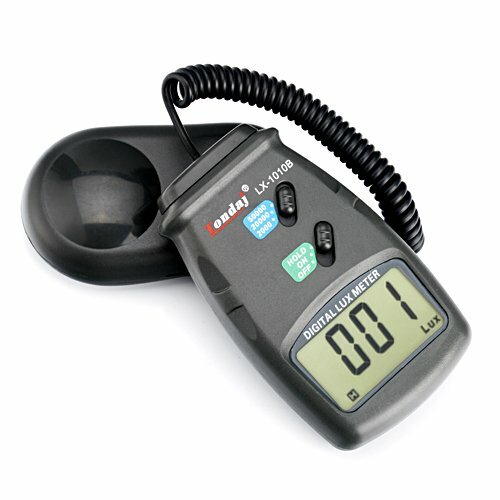 One-button zero calibration is quick and easy to perform. The LT45 is auto-ranging to optimize accuracy and resolution. Tripod mount on the bottom of the device for convenient hands-free operation. Display: 3-1/2 digit 18mm LCD. Accuracy: ±3% ±10 digits (0-20,000 lux) / ±5% ±10 digits (over 20,000 Lux). Photo detector type: Silicon photo diode with filter. Sampling rate: 2-3 times per second. 9V battery battery life: 200 hours (estimate). Designed for monitoring and optimizing environmental light levels for indoor building environments. Unit measures light from white LED light, flourescent, metal halide, high-pressure, sodium, and incandescent sources. Push-button interface allows quick and easy setup and operation. Quickly and accurately measures white LED and standard lighting Measure LED and standard lighting in footcandle (Fc) or lux units. 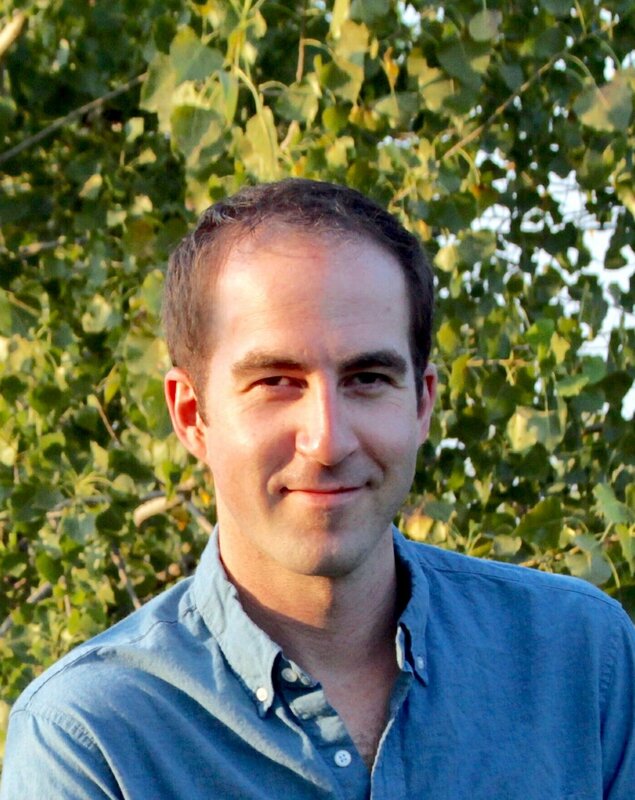 Cosine and color corrected measurements. Turns your phone into Lightmeter! Control Balance between aperture and shutter time to achieve the right effect. Simply measure flash and control balance between flash and ambient light. Set the correct Color temperature in any light situation. White will be White and colors will be perfect. 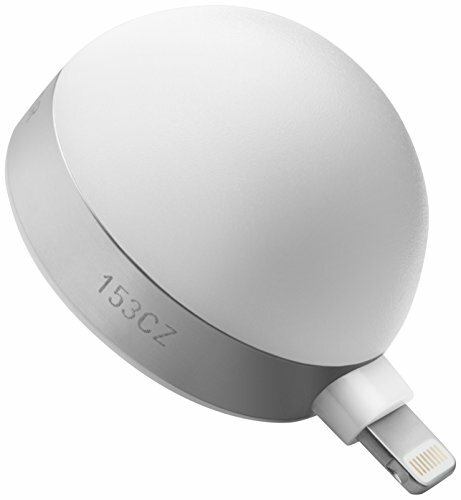 Use Lumu Light Meter app as a standalone spot meter, no additional hardware needed. Measurement range 0-200,000 lux. Lux and Foot-Candle units. MAX, MIN, and AVERAGE reading display and analog bar graph display. Auto power off with override option. Accuracy: ±4% ±10 digits (0-20,000 lux/2,000FC) / ±5% ±10 digits (over 20,000 lux/2,000FC). Fast Measurement Speed (Sampling Rate): 2 times / second. 270 Degree Rotatable Detector and Built-in Calibration Filter. Integrated optical probe rotate 270 degrees(90 Degrees to the left and 180 Degrees to the Right) which is convenient for detection of special position. Built-in calibration filter ensures the measure accuracy of lighting in different color. No need to adjust instrument according to different LED lighting color. Low Power Supply and Large LCD Display: Power Supply by one 9V battery (Included) with estimated 200 hours battery life. 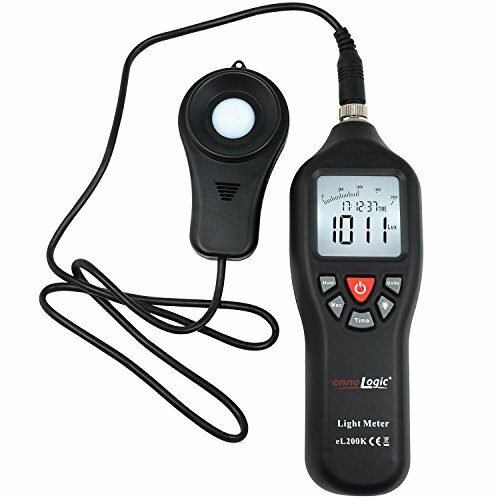 Digital light meter luxmeter will allow you to measure the lighting in any area. Accurate up to 50,000 lux +/- 5% | Requires one 9V battery for operation (not included). Detachable light sensor allows you to take measurements in any position or space. Great for determining the proper exposure for a photograph to help determine shutter speed and f-number. 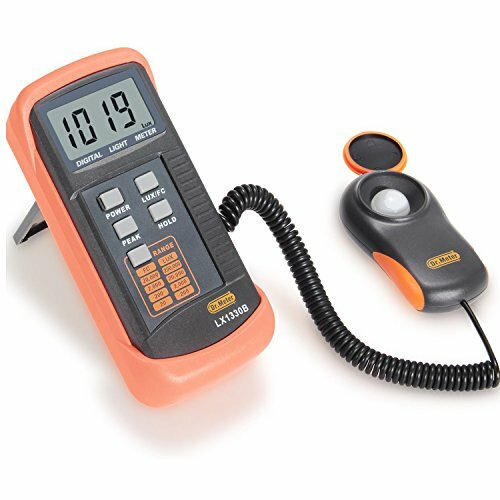 Package Contents: 1x digital light meter with lcd display. Measures up to 100,000 lux, or, approximately 10,000 footcandles. Used for checking the level of luminance, the measure of the amount of light falling on a given surface. Operating temperature: 32-122 degrees F (0-50 degrees C). 9V battery life: 200 hours (estimate). 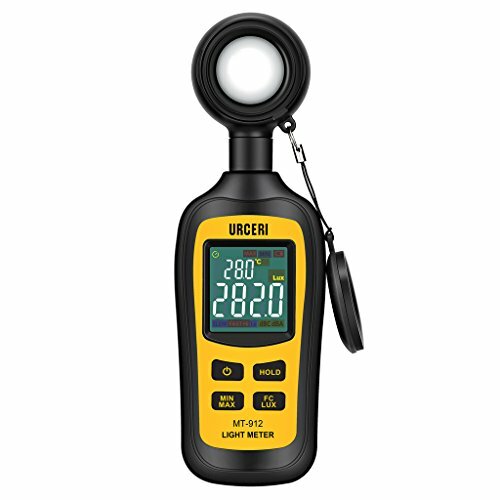 Covers a measuring range up to 200,000 Lux. At twice per second frequency, it has a high response rate so you can be rest assured to get both fast and quality readings. Features a uniquely-designed 4 digital color LCD screen so you can check your readings anytime of the day. Auto power off function that will be enabled automatically when not in used after 15 minutes. 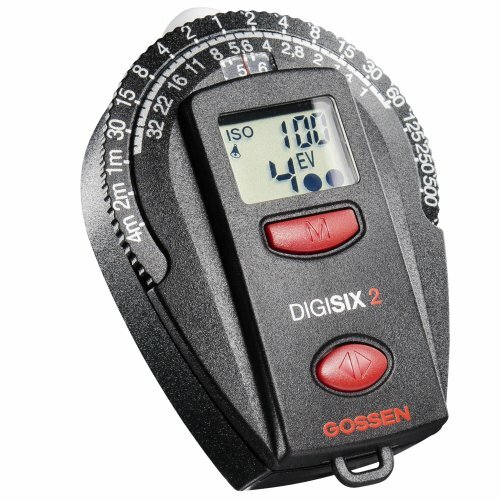 I hope this list of the best light meters was helpful.